Welcome back Autumn, though I must be honest and say I am not happy with you being back so soon. However, with your presence comes my favourite season beauty trends. With this chilly weather we are now embarking upon bold lips and simple eyes seem to be in, and I must say effortless makeup is always good makeup. From gurus to beginners, everyone can wear this look and feel comfortable and of course be in style. Below are my favourite Autumn beauty trends. 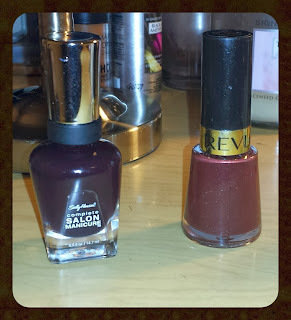 Left to Right: Sally Hansen Complete Salon Manicure in Oxblood & Revlon Crushed Crimson. 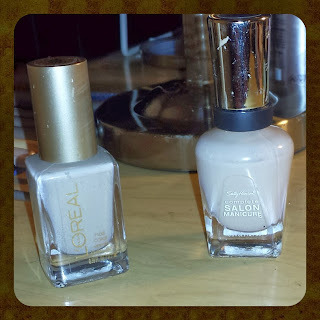 Left to Right: Loreal Walk on the Beach & Sally Hansen Complete Salon Manicure Without a Stitch. A melody of head bands from black to metal; thick and thin; day to night and everything in between. Top to Bottom: Loreal Intense Brush Tip in Carbon Black, Sephora Long Lasting liquid liner in black, MAC Smolder & Jordana cosmetics12 hr made to last in black point. Left to Right: Urban Decay De-Slick Mattifying Powder (translucent), Becca Ever-Matte Poreless Priming Perfector, Makeup forever HD Invisible Cover Foundation & Makeup forever Duo Mat Powder Foundation. Check out some of my Fall Looks. i love the picture with the combination of va va violet and black cherry lipstick. and l also like your Halloween makeup. Like the lipsticks. Thanks for the update on fall trends. You are welcome. What's your fav fall trend. Oh wow, Rozlyn never knew you blogged!! 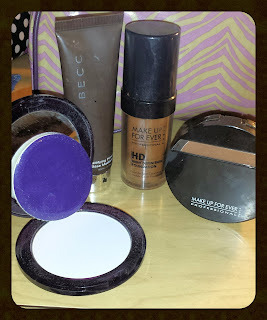 Good for you, I remembered you had a passion for makeup.Thanks for checking out the blog, come again anytime. I love mac- rebel, it's my go to colour when I am not feeling lazy to put makeup on. Started following you on google friend connect! 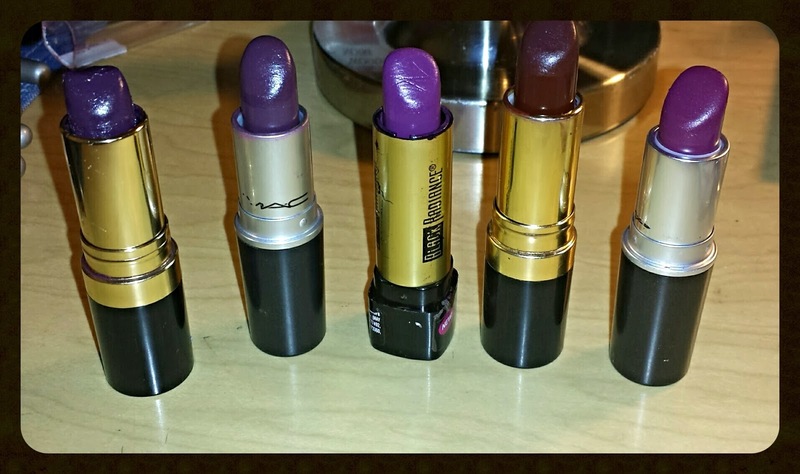 I need to pick up some burgundy lipsticks. 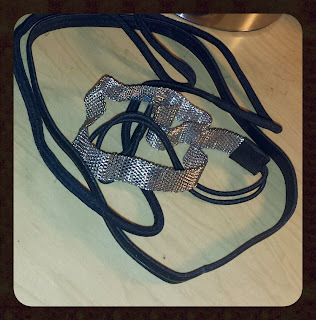 Thanks for noting some in this post that way I can be led in the right direction. 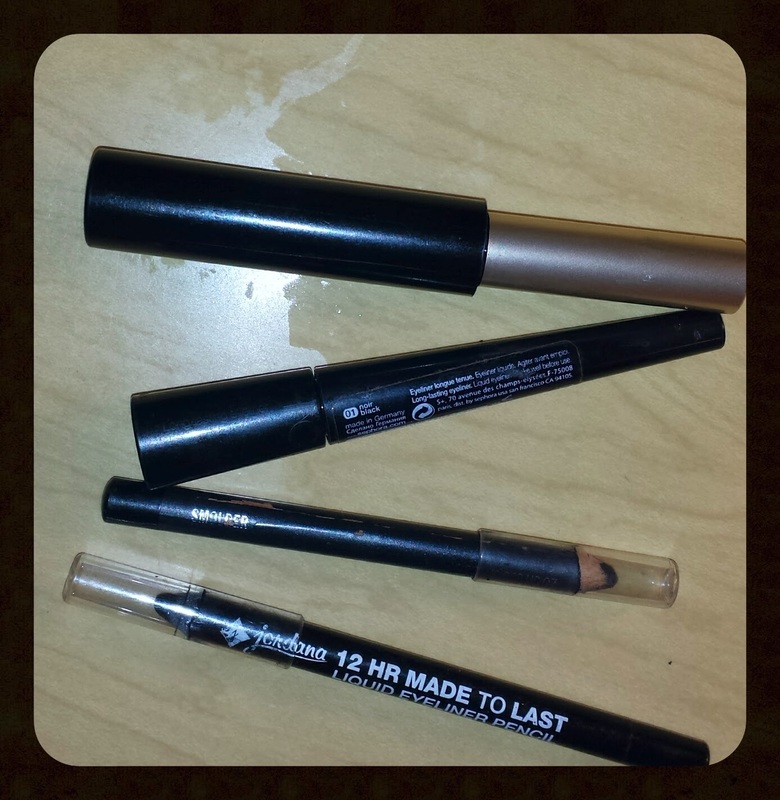 Have fun finding the perfect shade for you! Love purples and burgundies year round. Thank you for stopping by. Love your collection of lipstick. Thank you. I love purple and burgundy lippies esp on my skin year round.